The smell of pine is in the air and the sound of children caroling echoes throughout the streets as we return to Poplar to celebrate the holidays. 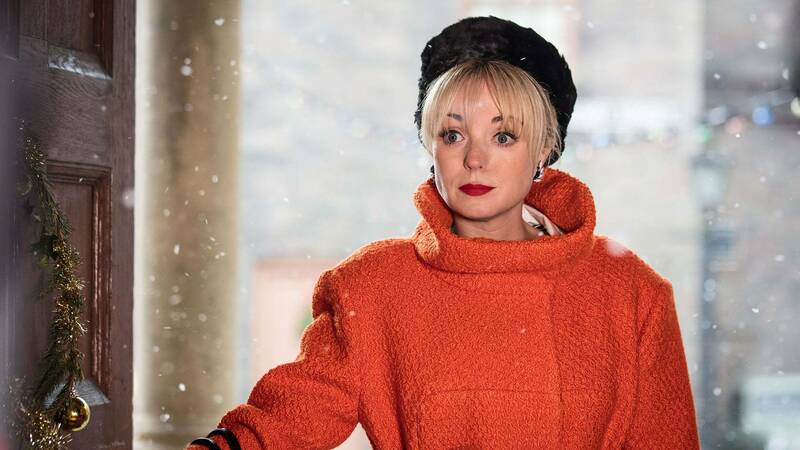 Our Call the Midwife withdrawal has been long and grueling, but there’s nothing like the arrival of the show’s annual Holiday Special to lift our spirits and knock the Scrooge right out of us as we trudge our way through the long, bitter days of winter. 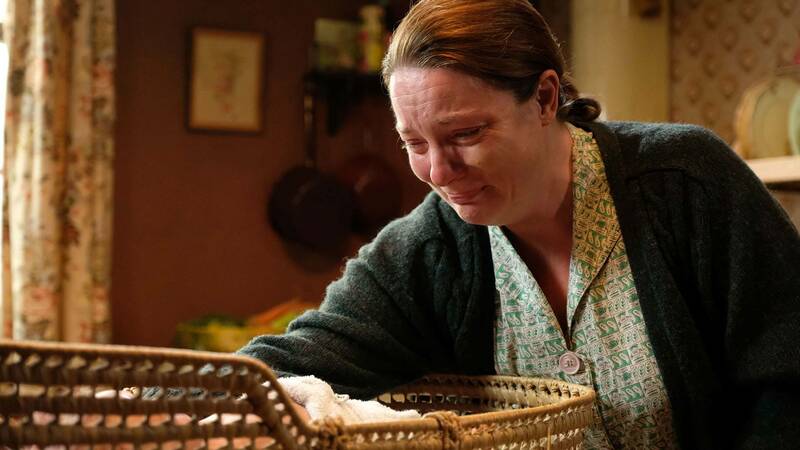 While Tom’s absence and Barbara’s passing left the Nonnatus House halls feeling hollow and our hearts feeling crushed by what can only be described as the weight of a thousand prams or Sister Monica Joan’s giant box television, the midwives are powering through — and so shall we. The sorrow brought by Season 7 has been replaced with the distraction of winter babies, Christmas productions at the community center, and holiday feasts (cake and tea included, as always). So to carry on with the holiday cheer, let’s start off with some good news, shall we? Yes, last season may have drained us of any tears we had left to cry, but the one thing they didn’t take away from us was Poplar’s resident sass master and advocate of the LBD. Though Trixie left halfway through Season 7 as a result of heartbreak — RIP Trixtopher — and an ongoing struggle with her sobriety, she traveled the globe for some much-needed R&R (think retail therapy) and is finally back and more fabulous than ever. We’ve never missed this OG midwife more. Well, if you thought that you’d get by unscathed this episode, you would be wrong. 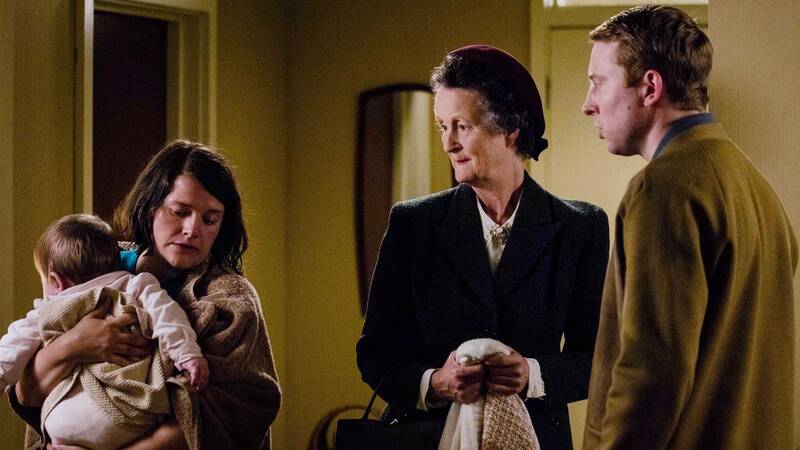 Despite a heartwarming midwife reunion, the celebration at Nonnatus House is short-lived — because you don’t get to watch this show and get through it with your feelings in tact, apparently. As soon as the women find themselves together again, they receive unfortunate news from the motherhouse informing them that their Mother Superior, Sister Jesu Emmanuel, has fallen ill with a brain tumor. With only months to live, she summons Sister Julienne, Sister Monica Joan and Sister Winifred back to the motherhouse to help their fellow Sisters in her absence, including their assistance at the Order’s orphanage. And while you might think that’s the worst of it, Sister Julienne subtly reveals to Nurse Crane that she has been favored as Sister Jesu Emmanuel’s successor. The future of our girl gang is suddenly in limbo, and let’s just say that Sister J is 100 percent not on board. Though she dreads the thought of leaving her work fam behind forever, Sister Julienne doesn’t have much time to mull things over before the motherhouse quite literally comes knocking on her door. Following some standard, treacherous English weather, a spirited guest, Sister Mildred, appears at Nonnatus House with four orphaned children from Hong Kong. Unable to make it to the motherhouse as a result of the snow, she spends the night with the midwives. During this visit, she explains the background behind the Order’s most recent project, taking in the four abandoned children of refugees to bring them to the adoptive parents waiting for them in England. The midwives take to May in particular, who happens to be much older than the rest of the children and whose family history is a mystery. Meanwhile, as the rest of the house adjusts to their tiny visitors, Trixie attempts to settle into her usual routine. While surprise babies don’t faze her, she finds that the sight of moths having destroyed much of her wardrobe, including her uniform, is quite alarming. Er, welcome back? Thankfully, Nurse Crane swoops in to help with the damage by gifting her with a sentimental present. Unfolding the red cardigan handed to her, Trixie realizes that it has been passed on from Barbara. This is fine. We’re fine. 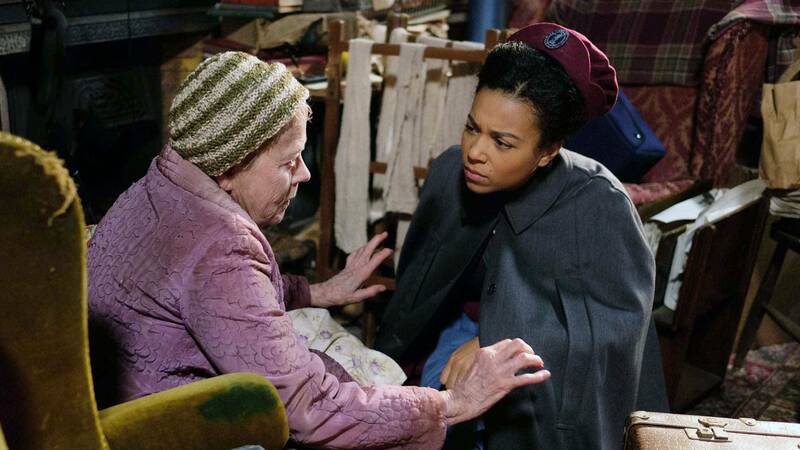 After that emotional bomb that we were not at all prepared for, it’s off into town Trixie goes, donning her friends uniform with pride, to make a house call on one of her former patients, Mavis Holler. 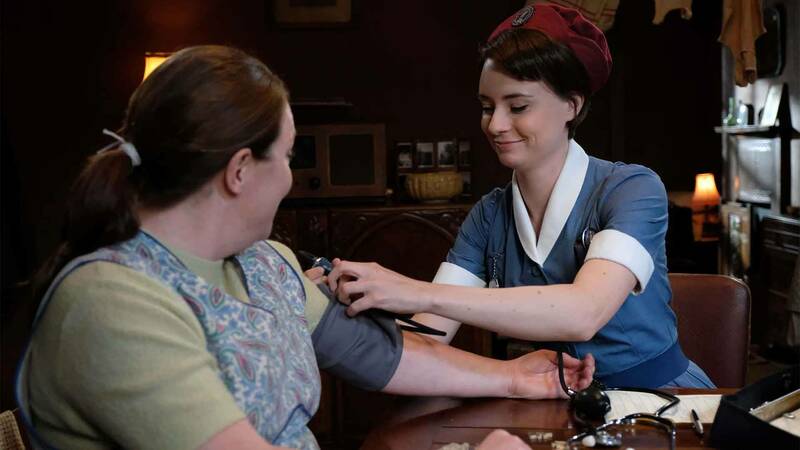 When Trixie questions why Mavis has missed numerous midwife appointments while she’s been away, Mavis admits that after hearing rave reviews from her sister, she has decided to proceed with a hospital delivery instead and to forgo a midwife. Trixie is mystified by this (we think the face says it all) but soon learns that the trend of hospital deliveries has started to gain popularity within the community. 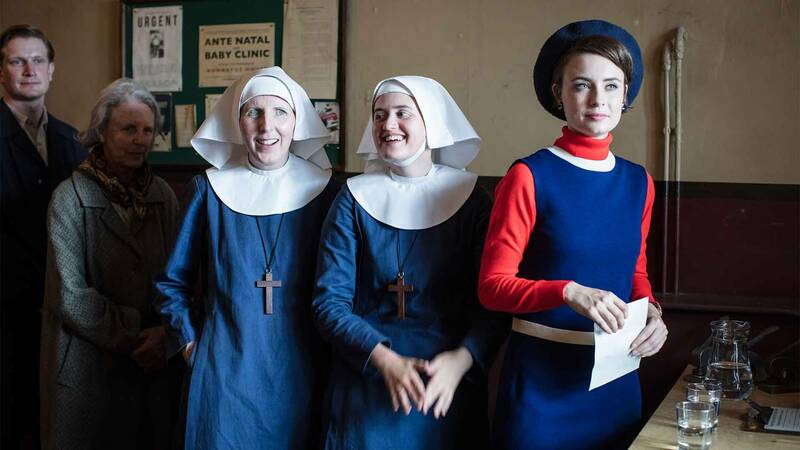 With Trixie back to pick up extra shifts, Sister Julienne and Sister Winifred depart for the motherhouse soon after Sister Winifred’s arrival, leaving Sister Monica Joan behind as she recovers from an ailment. There they’re quickly put to work at the orphanage where they see just how many children are waiting to be adopted. Orphans at Christmas? Let’s just say it’s not exactly cheerful. Sister Winifred, though initially hesitant to leave her work in Poplar just as much as her peers, begins to connect with a young boy, Neil, who she discovers is no longer on the adoption list. Realizing that he has been isolated from the other children due to a mental handicap from birth, Sister Winifred makes the effort to give him the extra attention he requires so he can participate in activities with the others. She meets with Sister Jesu Emmanuel, an old friend and current Mother Superior, and tries to convince her that she is not suited for the job. Much to her dismay, the Mother Superior explains that no one can match Sister Julienne’s abilities and intellect, a sentiment reiterated by fellow Sisters in the Order. Sister Julienne fears the thought of leaving behind her life in Poplar, and concerned over the impending change, she begins to let out a bit of her rebellious side pre-convent. 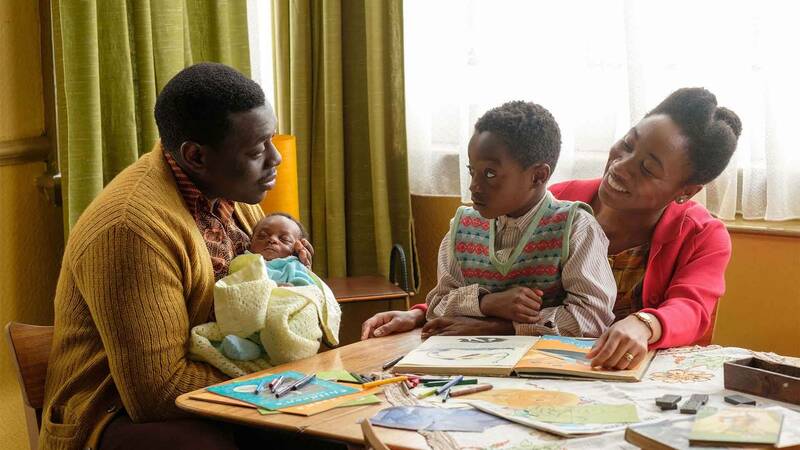 Back in Poplar, Mavis starts going into labor and makes her way to the hospital as planned. But in a maybe not so shocking twist, she discovers that the only hospital that can accommodate her with an emergency bed service is on the other side of town. With an hour wait for an ambulance, Mavis takes it upon herself to make her way there by foot with her husband in tow (the logic is a little flawed here, but…). Naturally, since going into labor and evening strolls don’t make for a good combination, she soon has #regrets as she begins delivering in the middle of a street. Her frantic husband runs to Nonnatus House to retrieve the midwives. Though the situation looks bleak — because a public delivery in the city streets probably isn’t anyone’s ideal birth story — Trixie, Lucille and Valerie all rush to Mavis’ side. The dream team proceeds to deliver her baby boy right before an ambulance finally arrives. Clearly, we don’t see Mavis choosing a hospital over a midwife anytime soon. While our three musketeers return to their daily tasks, tensions rise over at the motherhouse when the Sisters receive word that the vote of their new Mother Superior will take place in a few days. Upon hearing this, Sister Winifred reveals that she wishes to stay at the motherhouse. As this does nothing to improve her own chances of returning home, Sister Julienne exclaims that the Sisters must go where they are called, though she too is battling her obedience to God and her heart’s true desires. As their different perspectives on the matter bubble up to the surface and spill over into a super awkward luncheon, Sister Mildred chimes in to remind the Sisters that the struggle between their personal desires in the world and the things that are demanded by them from a higher calling is a part of who they are and should be embraced. Yet after her thoughtful speech, Sister Winifred ignores the sentiment completely, reiterating that she wants to stay at the motherhouse, regardless of who is calling her. Following this debate, the women gather later in the week as the votes for Mother Superior are cast. Sister Julienne leans on her dear friend Shelagh for support, so stressed about the result that she nearly gives in to the temptation to *gasp* smoke a cigarette. Nuns — they’re just like us. Also, Shelagh is the friend we all need. When the bells ring, Sister Julienne returns to the chapel awaiting her fate. Drum roll, please. If your heart has stopped pounding, it’s ok because we’re right there with you. The vote is in and the new Mother Superior is… Sister Mildred! You can breathe now. Despite Sister Jesu Emanuel’s wish for Sister Julienne to take her place, the Sisters’ vote confirms that Sister Julienne is to return home to Poplar and, since there’s always a catch, Sister Mildred also asks that Sister Winifred stay on to help with Neil and the other children. 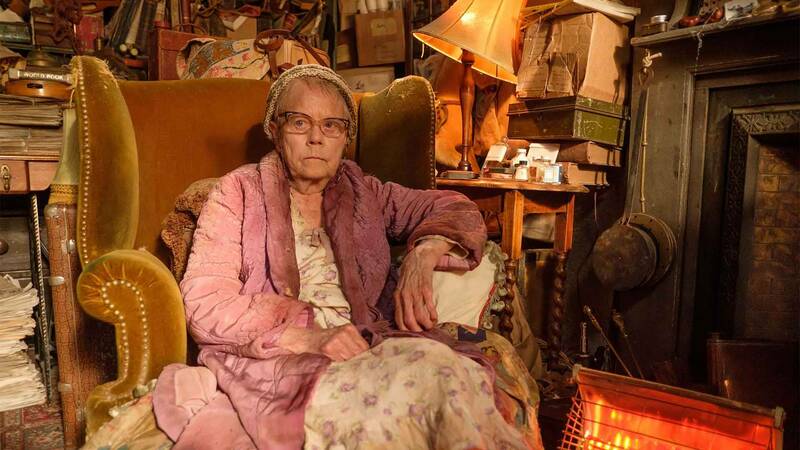 Though it’s a win for both women, we say goodbye to Sister Winifred, who first joined our journey in Season 3 (whaa?) and who we came to grow so fond of. Though we lose another one of our crew, we welcome not one but three more members to the family. Sister Mildred alludes to two newcomers who will be joining Nonnatus House, and with everyone suddenly feeling “the calling,” Shelagh has something else in mind. Maybe it’s something in the water or maybe it’s just Christmas, but everyone’s feeling it. Like Sister Winifred did with Neil, Shelagh forms a bond with little May, whose adoptive parents fail to show up at the orphanage. 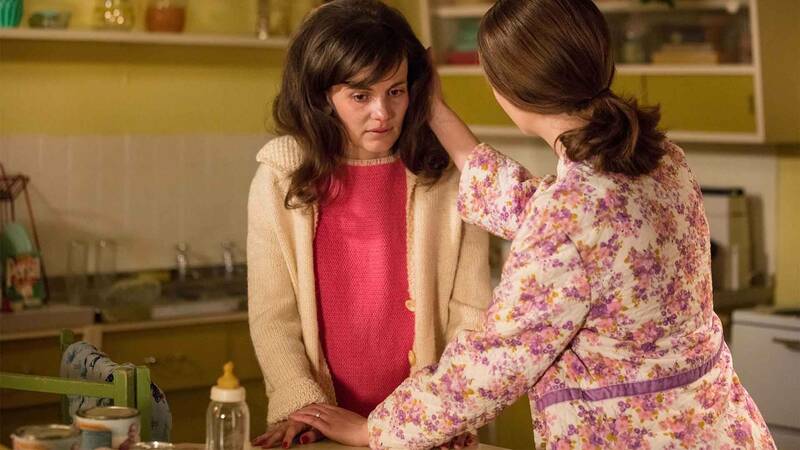 Worried that the young girl’s mental wellbeing could be at stake if she remains there any longer, Shelagh casually mentions the idea of becoming May’s foster parents to her husband. Dr. Turner takes all of 30 seconds to agree, because happy wife, happy life, and the growing family returns to Nonnatus House with Sister Julienne. So while we part ways with the bubbly, outspoken Sister Winifred, we eagerly await the arrival of our new midwives. It’s been a long, action-packed episode, but we can’t wait to see what next season brings. 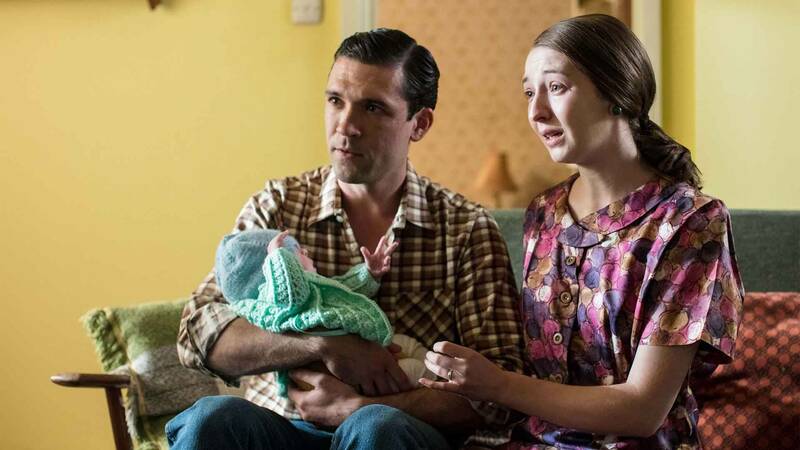 Until next time, Midwife fans!